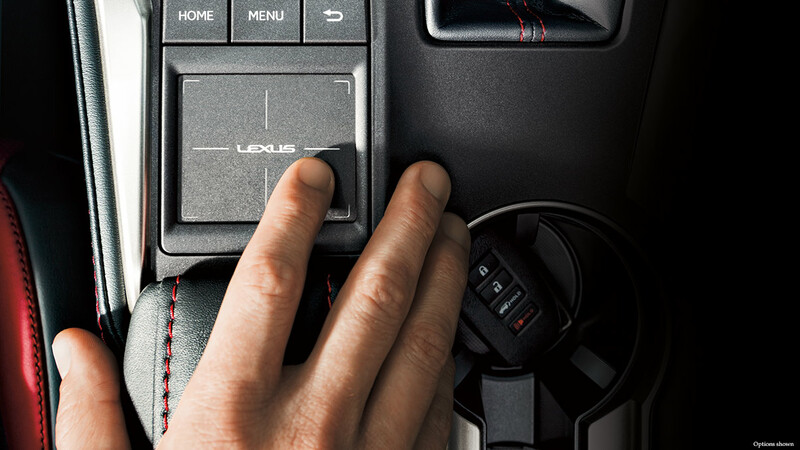 Remote Touch The new Remote Touch touch-pad was introduced on the Lexus NX and Lexus RC and offers the same ability to adjust Feedback Force that may help new users. To adjust the feedback force, you follow these simple steps..
On the touch-pad, slide your finger over to the desired function on the center screen. Press once so the touch-pad “clicks” down or lightly double tap your finger on the touch-pad to enter the selected function. To quickly move the pointer on a list or map screen, just flick with your finger. With two fingers, pinch in or out to change the scale of the full screen map. When the pointer moves close to a button, it will automatically snap to that button and the touch-pad will provide feedback force. This force can be adjusted (see above). View more helpful information and videos online at LexusDrivers.com or visiting our YouTube Channel. For additional help, give us a call or stop by the dealership and we can assist you in further programming the touch-pad as needed for optimal use.